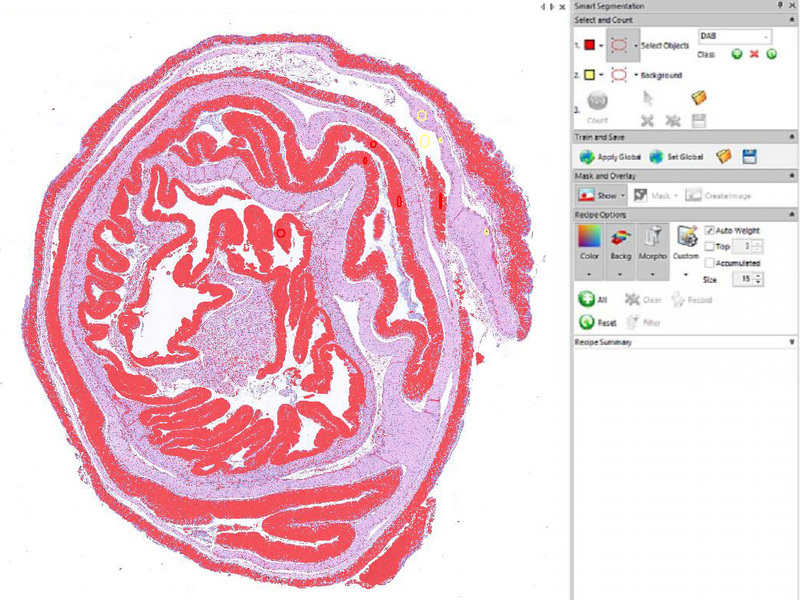 Image-Pro is an interactive software platform that delivers intuitive image analysis tools to scientists and researchers. Capture, Process, Measure, Analyze and Share your valuable images and data. Optional add on Image-Pro modules and APP's expand the functionality to match your changing needs. 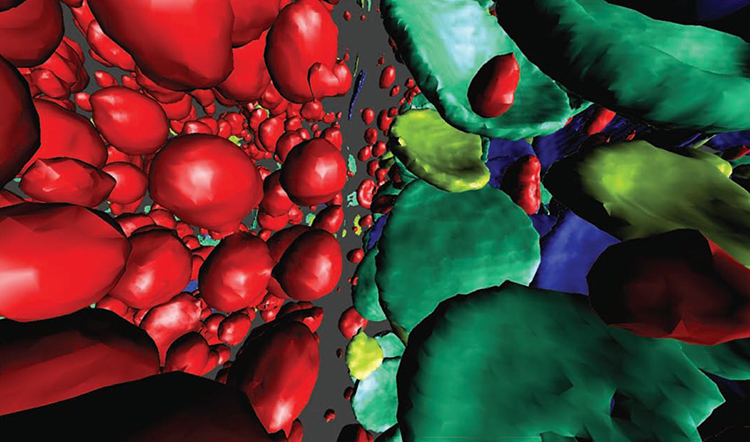 Image-Pro is the number ONE image analysis software brand referenced in leading research journals! For over 35 years researchers and scientists have trusted Image-Pro for their measurement needs. Image-Pro 10 Software is your best solution for 2D/3D/4D image analysis. Its powerful platform allows customization by adding modules to meet your changing needs. Take advantage of Image-Pro’s unique SMART thresholding technology to obtain precise image segmentation using multiple variables for better counts. Customize your system further by adding APP’s to streamline your work. Develop your own macros to automate and standardize your analysis. Image-Pro has been the world’s most successful image analysis software package for over 35 years! As a truly mature software product it has thousands of users. Image-Pro uses a unique thresholding method that uses a pixel classification algorithm able to identify hard to segment objects and regions. Works on small, medium, large and extra large images from microscopes or whole slide scanners. Easily uncomplicate object separation! 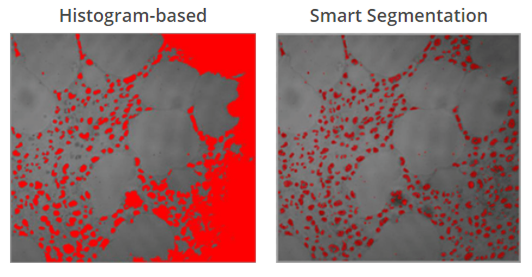 How does Smart Segmentation stack up against standard Histogram-Based Segmentation? VERY WELL INDEED! Select & Classify Objects by Color Locate and segment objects based on their color. Create classes to further characterize and streamline data collection and reporting. Image-Pro’s Automatic Measurements are what we do best! We offer the foremost solution for gathering data from images. Our simple step-wise approach to the problem is designed to provide the ultimate flexibility to analyze nearly any image type while remaining simple to quickly learn and teach to others. Set up your Automatic Measurements to compile data from a series of images and deliver individual and cumulative results with the click of a button. Show just the data you want for a specific image or images. Individual measurements, sums or statistics. You decide. Data Collector provides whatever you wish. Send data and images to the Image-Pro report generator, able to create simple custom reports based on pre-defined templates. Print or export to Word or Excel or generate a PDF. What can Image-Pro do for you? One-click Color Composite, Build composite color images by simply right-clicking on each grayscale image to select a color tint. Extract and Merge Channels, Easily combine and separate images into RGB, HSI, and HSL color channels. downstream measurement operations and reducing false positives. processing filters. Preview filters on your active image for instant results. them into a single High Dynamic Range image. The resulting image is a compilation of image data using the widest possible range of dark to light pixels. No more black or saturated pixels. Focus (EDF) creates a focused image from a series of images captured at different z planes. measurement for each grouped class. can even set it up to collect from all images automatically as they are measured. retain the original links to understand how image groups compare and contrast. block charts and lines graphs. easy creation of experiment results. leave your objects of interest for further classification and measurement. area, regions, intensity values, and more. radii and feret ratio, etc. manual point-to-point and polyline-based splitting methods to get the job done. select a large number of objects and change them as a group. for each object are able to be edited including color, transparency, secularity. delivers all of tools able to accomplish this and much more. Check website for supported cameras . . .
Measure one-to-one and one-to-many distances between objects. and group objects within objects. 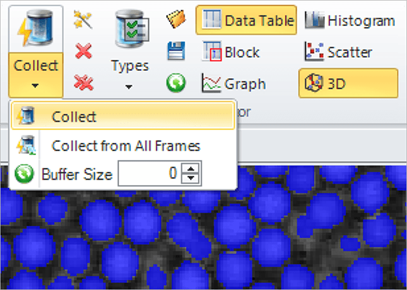 Create a new image displaying all counted objects arranged by size. statistics about longest and shortest lengths. Excel or to a custom report. selection with ‘Add’ and ‘Remove’. Draw accurate line measurements every time with the Snap Measurement tools. Simply draw and the measurement will accurately snap along object edges. measurement data. Use to organize measurements for greater clarity. combine multiple macros to ensure accurate results every time. interface. You can also use the code-based editing tools to test, edit, and debug your scripts. Our image analysis training courses provide valuable information you can apply towards your imaging research. Whether you are new to imaging or are a more experienced imaging professional, our courses are designed to help you make optimum use of the latest imaging software techniques. Receive installation and configuration troubleshooting from our technical support engineers via phone or email. Purchase an Image-Pro Maintenance Agreement to receive a full year of technical support and software updates. As an Image-Pro user, you’ll have access to a growing library of free 3- to 5-minute video tutorials. Learn time saving tips and familiarize yourself with the wide range of analysis tools available to you – without ever having to leave your computer. When you choose Image-Pro software, you instantly join a community of image analysis professionals. Join the free Image-Pro users email list to ask questions and learn from other users. Explore our Solutions Zone website to find a wealth of useful information about Image-Pro. The Solutions Zone is an easily searchable online database of macros, device drivers, plug-in modules, application programs, and development consultants that support Image-Pro and other Media Cybernetics software programs. Ask us if Image-Pro is right for your application! Windows 7 (64-bit) Windows 8.1 (64-bit), Windows 10 (64-bit), 32-bit versions of Windows are supported but not recommended. Internet connection required for online services, Internet Explorer version 9 or higher. Dual Monitors with 1920 x 1080 display are HIGHLY recommended. Try Image-Pro 10 out FREE for 14 days. Powerful image analysis software is the secret to great discoveries in any field. We have been custom tailoring Media Cybernetic’s Image-Pro for over 25 years! Give us the chance to prove it to you. We will not only give you the software to use, but we’ll give you the grand tour FREE. Call today!